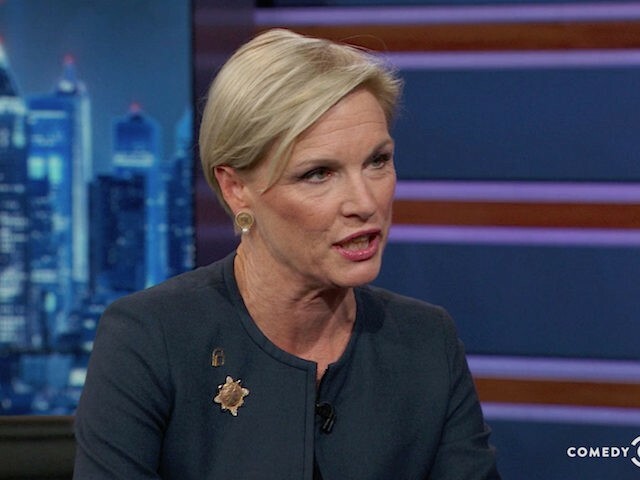 Departing Planned Parenthood president Cecile Richards said, “that’s simply not true,” regarding an observation that her organization is under investigation by the FBI for illegal profiting from the sale of aborted baby body parts. Richards appeared in New Jersey to witness new Democratic Gov. Phil Murphy sign into a law a bill that will once again allow New Jersey taxpayers to fund Planned Parenthood. Previous pro-life Republican Gov. Chris Christie vetoed funding for Planned Parenthood each year. “Right now, Planned Parenthood is currently under investigation by the FBI for the illegal sale of baby body parts and we have to assume that Gov. Murphy is aware of this,” said New Jersey Right to Life executive director Marie Tasy, reported NJTV News. Breitbart News reached out to Planned Parenthood and asked for documentation that the FBI investigation into the organization had ended in “acquittal” of the abortion business. The organization did not respond to the request. The announcement the U.S. Department of Justice was launching a federal investigation into Planned Parenthood’s fetal tissue transfer practices came in December. “At this point, the records are intended for investigative use only — we understand that a resolution from the Senate may be required if the Department were to use any of the unredacted materials in a formal legal proceeding, such as a grand jury,” he added. Both the Senate Judiciary Committee and the House Select Investigative Panel on Infant Lives conducted expansive investigations into Planned Parenthood and its partners in the biomedical procurement industry. The investigations concerned allegations of profiteering from the sale of fetal body parts that arose from an undercover video series exposé by the Center for Medical Progress (CMP). The abortion vendor says it will be going on “offense” as it continues to perform over 320,000 abortions per year. In its latest annual report, Planned Parenthood shows it took in nearly $544 million in taxpayer funding, as it also boosted its profits by $21 million — or 27 percent — from the prior year. For the eight years of Christie’s tenure as New Jersey governor, former users of Planned Parenthood’s services went, instead, to federally qualified healthcare centers for their health services. The reinstatement of Planned Parenthood funding was the first bill Murphy signed as governor. “New Jersey will once again stand for the right thing, New Jersey will once again stand up for women’s health, New Jersey will once again stand strong in support of Planned Parenthood and for reproductive rights,” he said. Tasy added not one woman testified to the state legislature that she had lost her health care due to the defunding of Planned Parenthood.